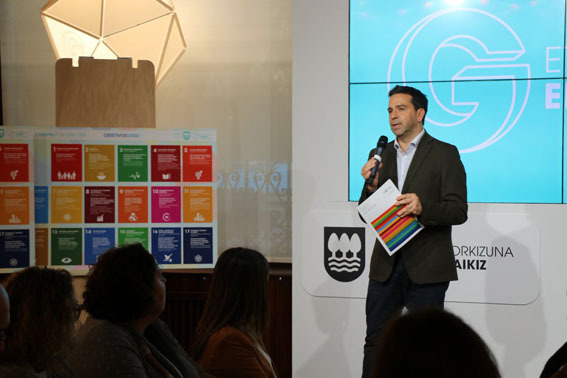 On the International Day for the Eradication of Poverty, the Provincial Council of Guipúzcoa held a workshop in San Sebastian with more than 40 representatives and volunteers from associations throughout the province, in order to share its strategy to align its public policies with the 2030 Agenda, and the Sustainable Development Goals (SDGs). The Provincial Council is carrying out an analysis of the Strategic Management Plan under the perspective of the SDGs, associating its strategic objectives with those established by the global agendas. This way, the Provincial Council prioritizes the task of framing the SDGs in the different actions and projects carried out in its departments, starting with the project "Building the future" (in Basque, Etorkizuna Eraikiz), and those carried out by the Department of Governance and Communication with Society. The document that collects this work has been shared with the associations during the meeting. "Guipúzcoa is committed to the new global agenda, which seeks to eradicate poverty and reduce inequality, protect the planet and ensure the prosperity of all people. Achieving this is everybody's task and the Provincial Council wants to take an active role, in collaboration with the citizens and with the social and economic agents of the territory who work day by day to make these priorities a reality", said the Member of the Parliament for Governance and Communication, Imanol Lasa, at the workshop. The workshop, held on 17 October, is the first of four meetings that will take place from now and the end of the year. 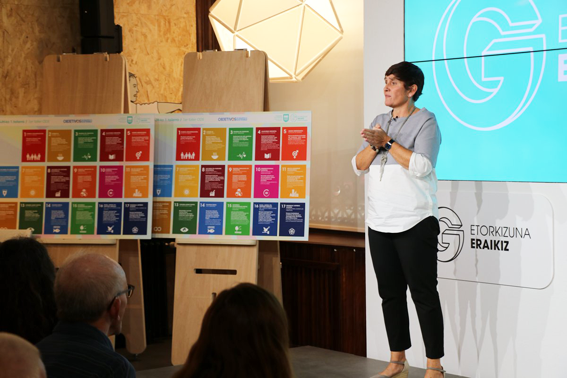 With the support of UCLG Regions, among other networks and associations, the goal of these meetings will be to create spaces for awareness and analysis of the SDGs to define, hand in hand with the civil society of Guipúzcoa, the main lines of the political agenda of the province and align them with the SDGs. 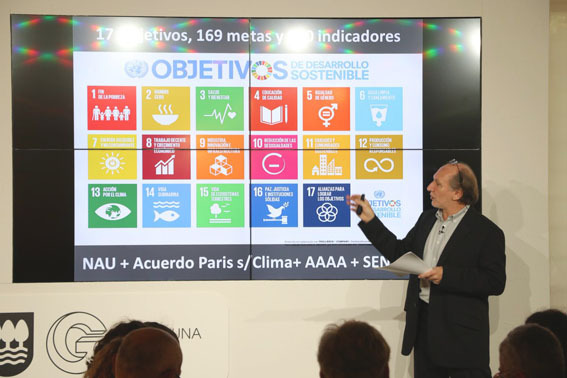 "We want to make the 2030 Agenda and its goals known, recalling the importance of integrating the SDGs in Guipúzcoa, and create spaces for awareness-raising, dialogue and contrast that allow us to travel this path in an effective way starting from the contributions of everyone, especially non-profit associations, for their experience," added Imanol Lasa. "The Provincial Council of Guipúzcoa, in its capacity as a supramunicipal government, has been an active member of the Forum of Regions of UCLG since its integration into our Organisation. For this reason we wanted to be with them at the launch of the workshops on the Sustainable Development Goals and, together with the Basque Government support this initiative aimed at municipalities and the civil society, which aims to place Guipúzcoa as one of the most committed territories to the 17 SDGs" Antonia Sabartes, coordinator of the UCLG Forum of Regions. Edgardo Bilsky, Director of Research of the UCLG (United Cities and Local Governments) Network -of which the Diputación de Guipúzcoa has been a part since this legislature- provided an overview of what local and regional governments are doing worldwide in terms of implementation and localization of the SDGs. Likewise, the directors of External Relations of the Basque Government and the Provincial Council, Iker Goiria and Leyre Madariaga, showcased the work being done by the two institutions together with the town councils of the three capitals of the Basque Autonomous Community. The commitment of the Provincial Council of Guipúzcoa with the implementation of the SDGs in 2018 will continue to be present in the next three workshops that will take place on November 7, November 28 and December 4. Source: Provincial Council of Guipúzcoa. Read the press release (Spanish). Follow the last updates of UCLG Regions in #Regions4ction.